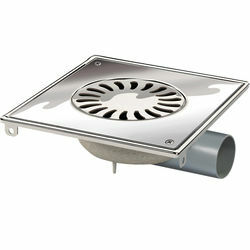 VDB Shower Drains > ABS Shower Drain 200x200mm (Screw Down Grate). 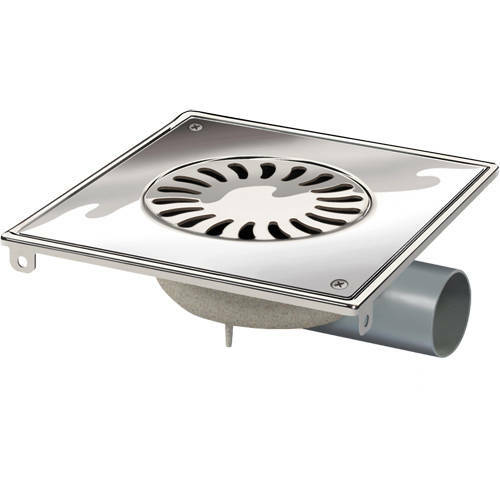 Van Den Berg ABS plastic shower drain with screw down grating. 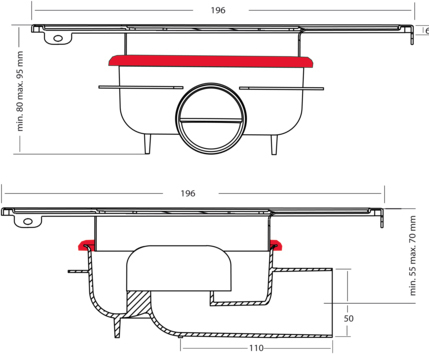 Removable water trap (height 35 mm).